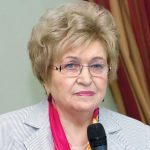 Vera N. Prilepskaya M.D. Prof. Contact the ESC Central Office at info@escrh.eu to contact Vera Prilepskaya. Your email will then be forwarded.